Progress and a general view of how our rooms look. 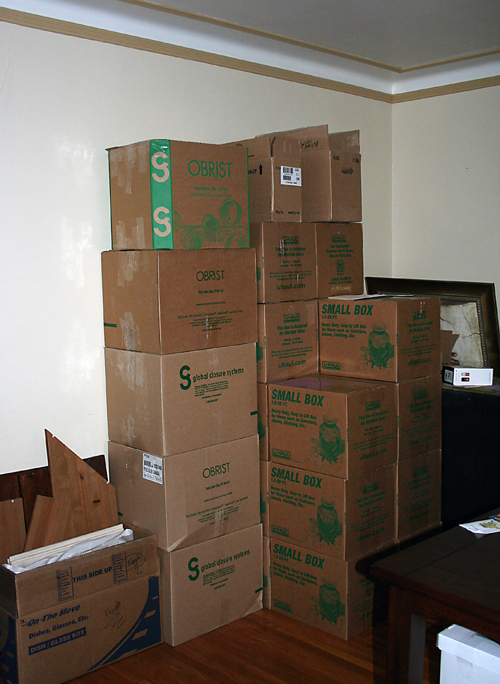 There is a mountain of boxes everywhere as I type and a ton more packing that needs to take place. I'm steadily getting it done bit by bit. There is so much to blog about but I'm so very limited on time right now. I'll be packing up my computer by tomorrow and will be back in a couple of weeks when the dust settles...literally the dust. We ripped our kitchen apart and took out the carpets in the new home to add some wood flooring. My kitchen won't be ready for me when I move in, so that should be interesting figuring out how to cook for 4 kids. I guess that's what BBQ's are for. Oh my! I'm overwhelmed just looking at the pictures. New houses are always fun though .... and the sorting and purging that has to happen is good for everyone involved. Good luck with the move. wow.... exhausting! yeah, you should make paul grill everyday. and be friends with ronald mcdonald. thinking about you and wishing we were there to help (when i say "we" i mean john). let us know when you need our family of 6 to come help... ummm keep kids occupied, point where sofas should go and spit watermelon seeds in your new yard. 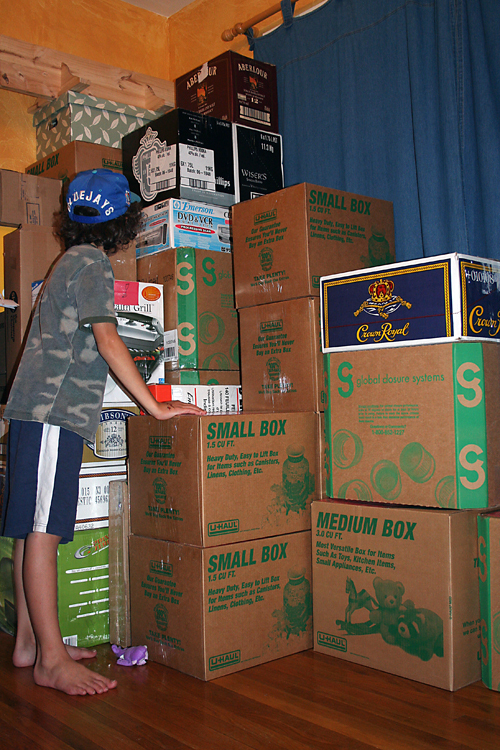 Yikes, my house is starting to look like that and I'm not even moving. Are those pictures from your backyard?!!?? Terribly jealous over here.